Do you fear the new Airspace Change Process? Cyrrus has an enviable track record in the delivery of airspace change but we are not resting on our laurels. 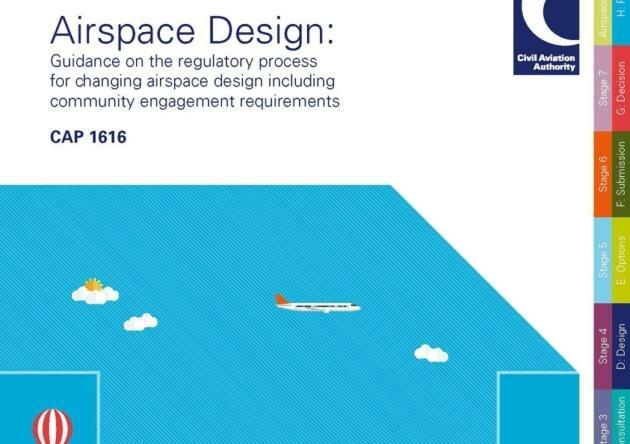 We were involved with the new UK CAA airspace change process (CAP1616) throughout the consultation stage and are now proactively engaged in its emergence into the industry. It is vital that the revised process should be viable for all types of airspace change and for all operational magnitudes; it must not become a barrier to the delivery of positive change for both the aviation industry and local communities. We continue to invest resource in examining the process and have recently visited the CAA to validate our views of how the process will be employed. In addition, we have received training on ‘Citizen Space’; the consultation hub to be utilised by airports wishing to run airspace consultations. ‘Citizen Space’ is a powerful consultation tool that should reduce the burden placed on Change Sponsors during the consultation and post-consultation phases. We have also participated in a workshop at the DfT on a policy for the ‘Permanent and Planned Redistribution’ of traffic, aimed at filling the gap between changes made to airspace design and those made by ANSPs to operational procedures. It is right that a clear policy and process for such changes is introduced. Understanding the new policy and process is only part of the equation, executing the change process effectively is as important. Committed to the delivery of industry best practice, we continue to invest in training from The Consultation Institute, to ensure that the most up-to-date guidance on how to consult is provided to our Clients. All considered, we believe we are well placed to drive future airspace changes through these uncharted skies. Please call Cyrrus to discuss all your airspace needs.